Oldenburg Vineyards: Oldenburg Syrah he Oldenburg Syrah has a bright, ruby-red colour with an earthy nose. The wine leans towards the Old World, like a typical Cote du Rhone with elegant minerality and delicate pepper showing on the palate. The wood is well integrated and shows rich caramel tones. 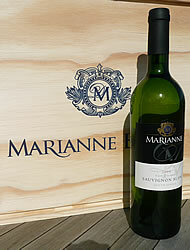 https://www.weinbaule.de/red-wine-south-africa-oldenburg-syrah-p-2881.html?osCsid=f694e3ad7e806625665a0a44f0b3bcfe"> Wine 22.99 6009800987027 WeinBaule.de | The Home of Wine Oldenburg Vineyards New In stock!